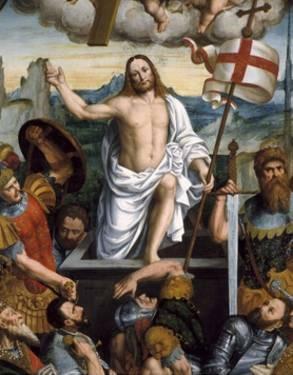 I hope and pray your Lenten journey was fruitful and your Easter celebration is one of even greater appreciation for the love of God who sent his only Son into the world and for Jesus Christ who coming into the world took on our human condition, walked among us, preached and healed, laid down his life on the cross and rose from the dead for our salvation. Salvation, what a precious gift! Eternal life, what a precious hope for those of us who believe in the Risen Christ! I do not know about you, but my Lenten journey was full of failures, which brought me to recognize once again my own sinfulness and weaknesses, it was an invitation to embrace my own humanity and my need for a Savior. Through the Church, through the Sacraments of the Church, Christ shares his life with us. That’s right, in Baptism, we die to self, and rise with Christ to a new life. The Easter Vigil celebration is rich with the many symbols and sacraments of the new life Christ shares with us through the Church. All the other sacraments continually renew the life of Christ in us, and strengthen us in our life in Christ. I still believe that once people understand this basic truth and mystery of how Christ longs to share his life with us through his Word and the Sacraments, our parishes would be packed every Sunday. Do children looking for Easter Eggs and all the chocolate they can find simply because it is an ‘obligation’ or do they do so because of the joy of the search and discovery, and treasuring the enjoyment of what is found? How much more for the members of the Catholic Church who come to receive the Sacraments with full knowledge of what is being offered, not just out of obligation, but treasuring their next encounter with the Risen Christ. Hopefully you experienced the joy of celebrating the Resurrection with your parish and faith family. If not, or even if you did, please, continue to join us every Sunday! Nothing compares to the life that is ours in Christ. We know, that if his desire to share this new life with us was so strong that he was willing to lay down his own life, it is surely a treasure worth receiving!